OPAL Translation is an Australian owned translation firm providing high quality translation services in Australia. With a focus on quality, speed and affordability, our NAATI translation services are highly sought after and commended. Working with only the most highly qualified and professional NAATI accredited translators in Australia, in over 140 languages, you can be sure that your translation needs are being taken care of by the translation experts. Whether you need only a few personal documents translated such as a birth certificate or driving licence, or if you need hundreds of business documents translated, OPAL Translation is here to help. Our NAATI translation services are also available urgently – simply contact us today to enquire. The best way to enquire about our NAATI translation services is to complete our 15-second free quote form and attach the documents that you need a quote on. Our experienced Translation Project Managers are available virtually 24/7 and usually respond within 10-20 minutes with your free quote via email. So, what are “Translation Services”? Translation is the conversion from one language to another, in the written form. If you have a document, such as a legal contract and you would like the contract converted from English into Japanese, then we call this “translation”. This differs to “Interpreting” which is the conversion from one language to another, in the oral/spoken form. OPAL Translation specialises in Translation Services. Our point of difference is that all of our professional translation services are NAATI accredited. By being the leading provider of NAATI translation services in Australia, we ensure that we treat each and every translation project with the upmost care, professionalism and efficiency. Our document translation services are available for a range of personal documents and business documents. We have some further information about common requests that we receive for our translation services – feel free to continue reading. Who is NAATI? Why does everyone in Australia talk about a “NAATI Translator”? NAATI is the only authority in Australia that provides translator and interpreting credentials. NAATI stands for the National Accreditation Authority for Translators and Interpreters. By working with a NAATI translator, you are helping to ensure that you receive translation services provided by a translator who has the qualifications and ethical underpinnings to ensure that the translations that you receive are first-class. Furthermore, if you are using your NAATI translation within Australia, for official purposes, then most authorities require a “NAATI certified translation”. 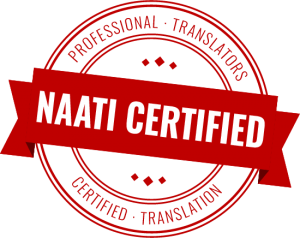 A NAATI certified translation usually bears the translator’s NAATI stamp as proof that the translation has been undertaken by a certified NAATI translator. Many common purposes for NAATI translations are for submission to the Immigration department, Australian passport applications, tertiary education applications and for use in the Australian legal system. OPAL Translation is committed to the NAATI translation system and works exclusively with NAATI translator professionals with our 100% NAATI translation acceptance guarantee. Our Driving licence translation service is Australia’s most trusted service offering. We have translated 1000s of driver licences from all languages into English over many years. We are well aware of the regulations that relate to driver licence translations and can easily assist. Commonly requested languages for our licence translation service include French, Italian, Spanish and Arabic however, we get requests for all languages including Danish, Swedish and Persian. No matter what language your licence is in, feel free to order your driver’s licence translation with OPAL Translation – we are here to help. You can use your driving licence translation for official purposes in Australia. 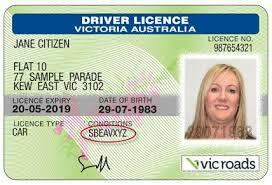 If you are looking to use the English translation of your foreign driver’s licence to apply for a New South Wales (NSW) licence, or a Western Australian (WA) licence, please let us know as there are special requirements for these states of Australia. We also need to know the reason that you need the English translation as this can help us tailor our driving licence translation to you. The regulations in Australia differ depending on whether you are on a temporary visa or a permanent visa, so please let us know as much information about your situation when ordering so we can assist. One of most commonly requested services is our fast, easy to order, birth certificate translation service. We can translate any birth certificate from any language into English and from English into all other languages. The process is really simple to order a birth certificate translation. Simply complete the free quote form and we will email you within 10-20 minutes with a quote to translate your birth certificate. 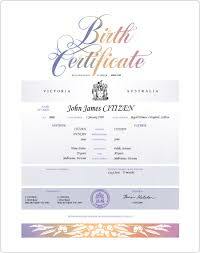 Our NAATI certified birth certificate translation can be used for official purposes in Australia. We are one of the leading Sydney translation service agency in Sydney – no translation project is too big or small. Our NAATI Sydney translators are available in all languages! Our NAATI Translator service is available for all languages, however, below are some of the most commonly requested languages we translate from. If you are in need of Melbourne translation services, OPAL Translation is your trusted partner. We provide translation services to clients all across Melbourne 365 days a year. There’s no need to come into our Melbourne office. You can easily order your NAATI translation online from the comfort of your own home. We have such a large volume of translation orders that come through each and every day from clients who need translations for their visa application. These translations are submitted to the Immigration department so that a foreigner can obtain a visa for entry into Australia. We are well aware of the requirements that are in place for NAATI translations for submission to the DIBP so you can trust in OPAL Translation to help. We are delighted to offer you our high-quality translation service at Australia’s lowest prices. Our translation services start at just $69 inc GST per page so you can be sure that you are getting the best value Australia-wide. Business translation services are priced a little differently to our personal document translation service. These are typically on a per-word basis as obviously the more words that are in a document, the more work there is for our NAATI translators to complete. We provide free quotes on all documents so you know up-front how much our translation services will cost. The best part is, you can receive your quote within only 10-15 minutes – how great is that? We have all been there. We’ve left things to the last minute, or the boss has sprung a last-minute request on us. No worries. We can translate your documents urgently for you! Because we have Australia’s largest panel of translators, we can arrange translations within even a few hours!